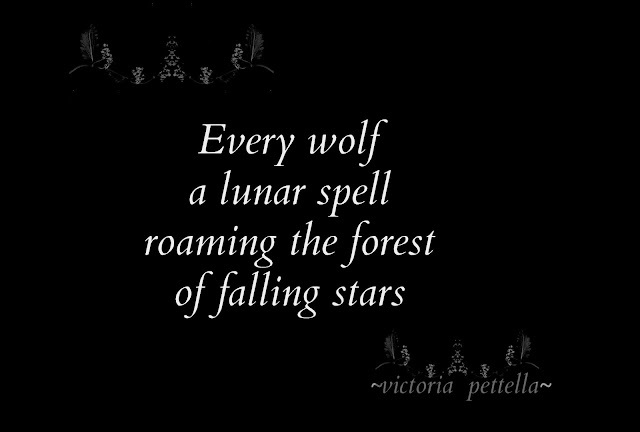 Oh Victoria...the moon, the water and the wolf, these are all so magical and your writings cast a spell of enchantment over it's reader. Deep thanks Jan, always so happy when you stop by and add your magic here. 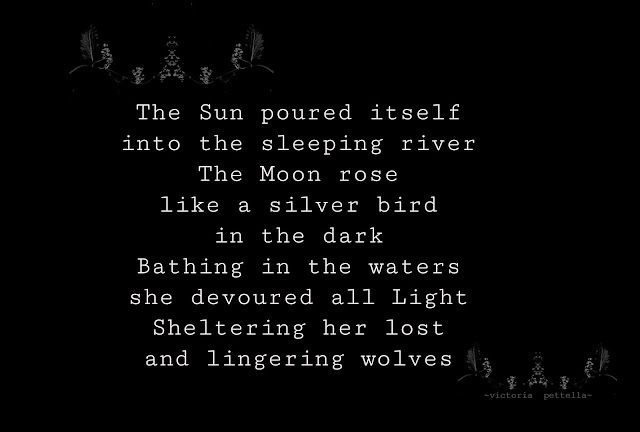 I love what you wrote, that sounds like a perfect title.. " the moon, the water and the wolf"...perfectly atmospheric and poetic! PS: so happy to visit your gorgeous world too. And the poetry in you hunted the gloominess in me! Have a wonderful night dear Victoria. 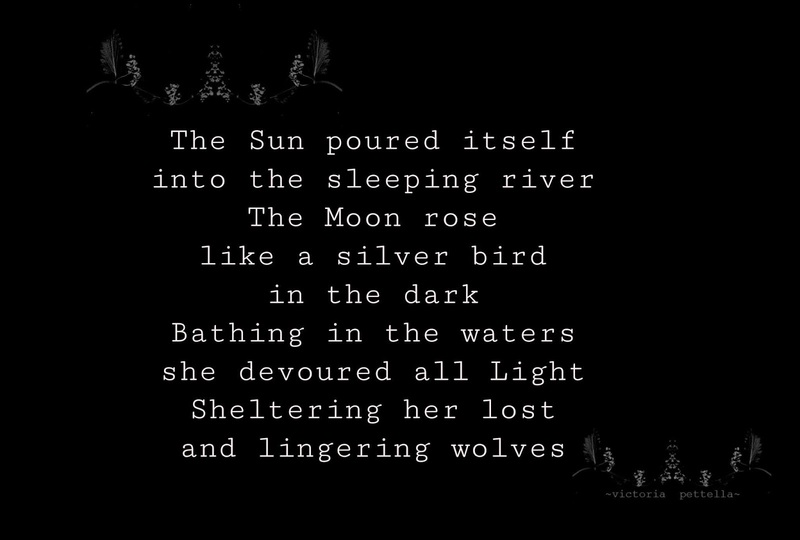 ooohh... wolves and moon and water... love love love! This is so amazing Victoria! I truly love this!!! Big Hugs! This is all sorts of delicious, Victoria. I love the wild metaphor, the Moon filling the speaker, the Wolf reaching for it (touching)... Nature brewing wonder that fills the soul and reminds the body it's alive. Pure beauty. 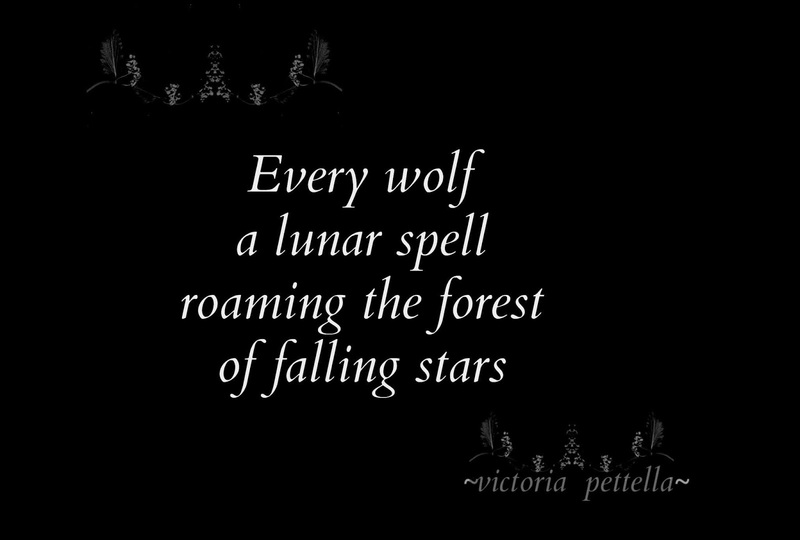 And a perfect bright-moon summoning when we will dance with the dark moon in just a couple of days. 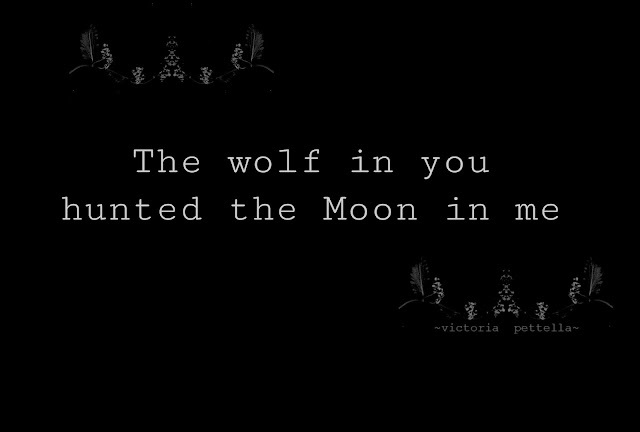 I must share this one with certain wolf-lover-wild-woman... I think she'll appreciate it. Magaly..many thanks! 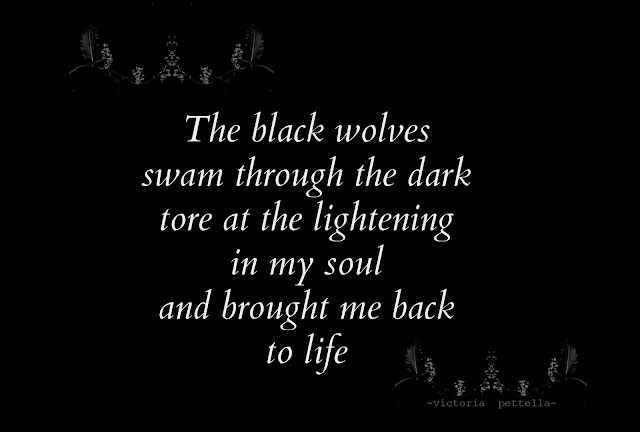 your beautiful insights always pour even more soulful meaning into me, deep thanks for taking delight...and hope your friend enjoys. deep thanks my lovely friend!